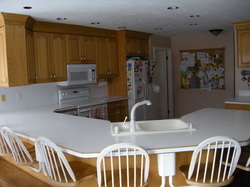 This Maple kitchen below was in good shape structurally but was outdated. 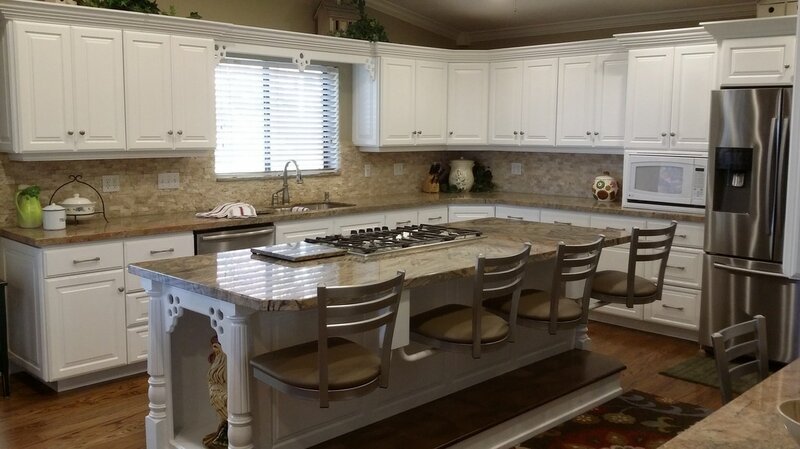 The customer really wanted a larger and more functional island workspace. 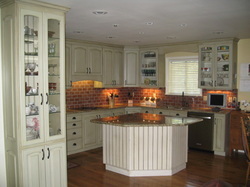 So the decision was to paint her cabinets, use the existing island but add additional cabinets. As far as functional space gained, the biggest change for the better was the bi fold doors along the wall. We took off the doors and replaced them with doors and added pullout drawers. The empty space was cutout and we inset ad additional cabinet for her china area. The wall became so much more useable. I think you will agree this looks as if all new cabinets were installed. Take what you have and fix it up. 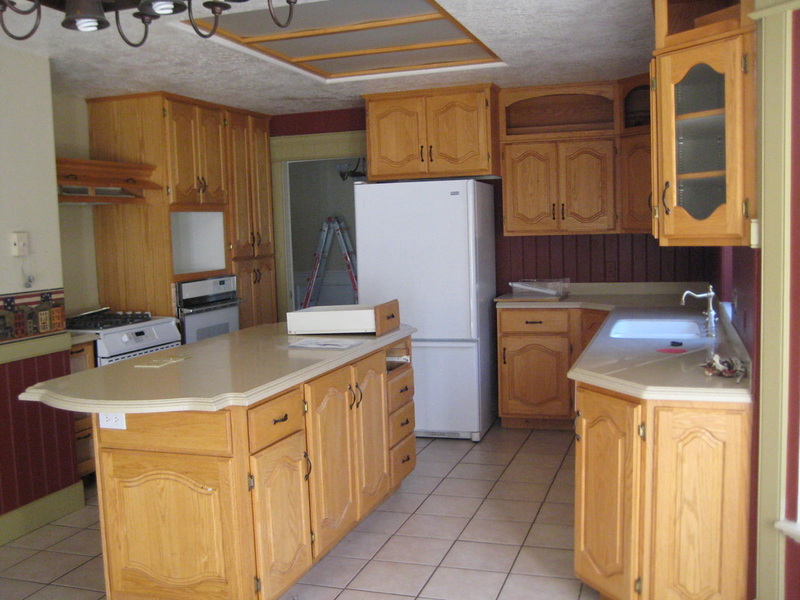 Before - Natural oak cabinets had yellowed. to the left were changed to doors and pull out shelves to make this storage space more functional. Believe it or not 20 years ago this dark brown was the "in" color. Even with adding a brick back splash and new granite it still didn't give you the customer that newly remodeled and updated look they were looking for. Notice the china cabinet to the left. A wall was taken out and cut down to a half wall. The china cabinet was added to the end of the wall. We removed the doors and brought back to our shop to paint and glaze. 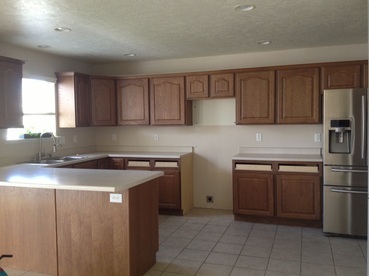 The cabinets were finished onsite. 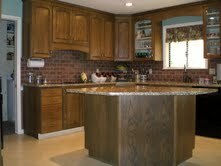 The island back panels were covered over with a bead board material that had also been painted and glazed. 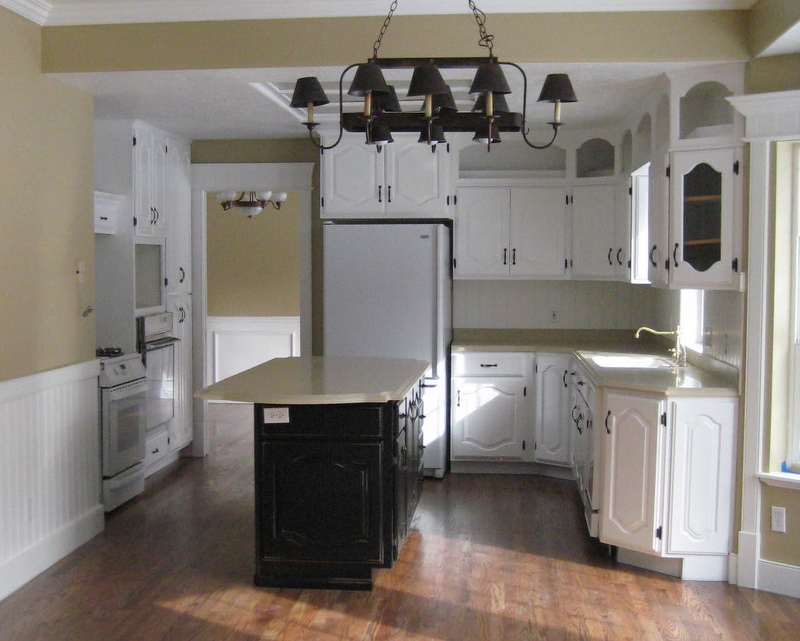 Painting, adding pendant lights and new granite completely makes this look like a total new kitchen, with a fraction of the cost. 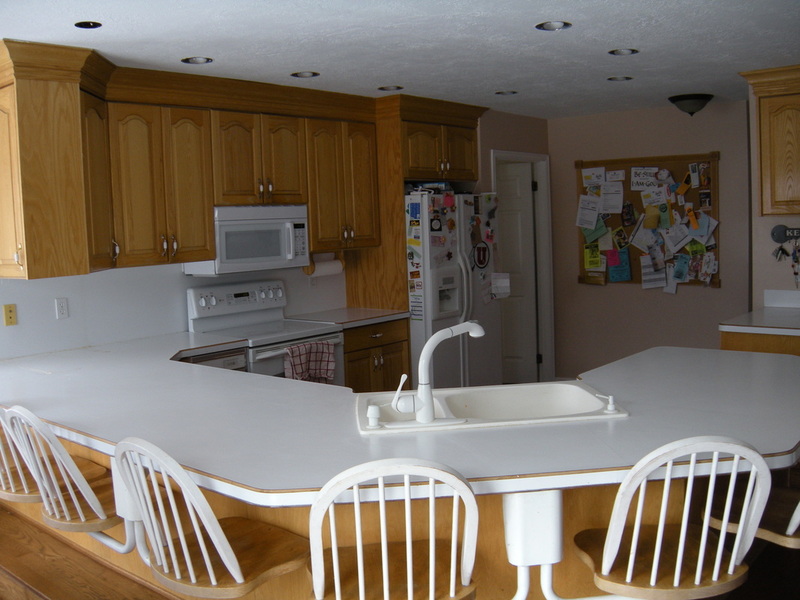 Before: Natural oak had yellowed over time. 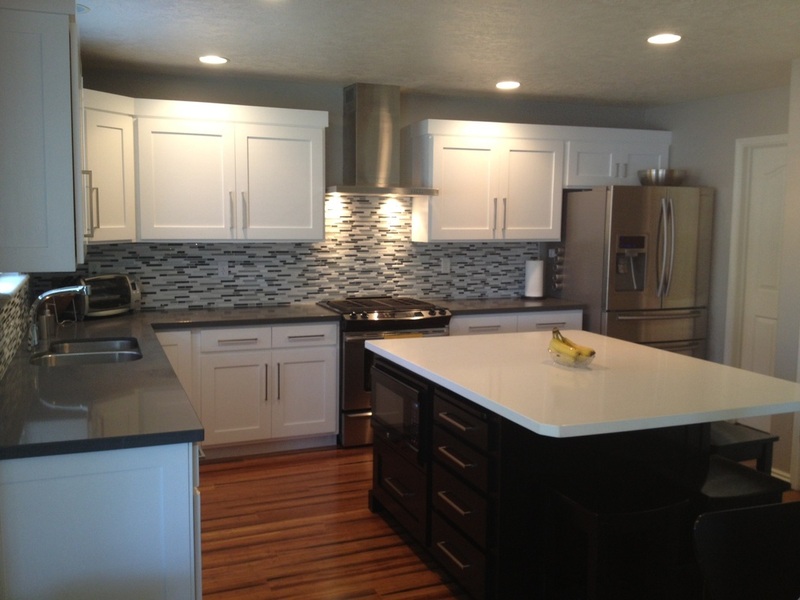 The cabinets were painted white, island was accented in black and new handles added. 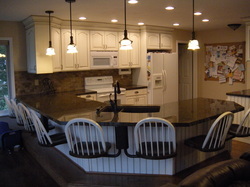 This customer did away with the peninsula using the cabinets and adding some additional ones to make an island. 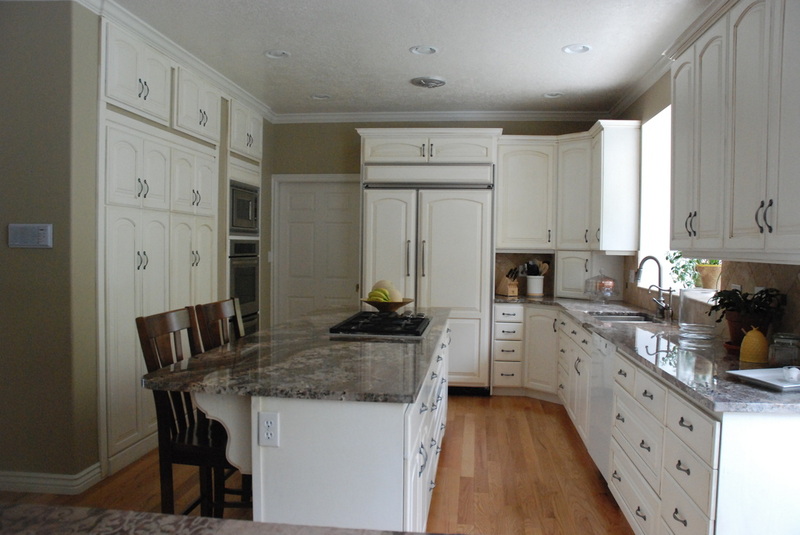 We painted her existing cabinets and added new doors and drawer fronts. Doesn't even resemble the old kitchen! !